After witnessing your fellow campers furiously stuffing marshmallows into their mouths and subsequently retching them up seconds later, It’s no wonder that jumbo marshmallow stood out in my mind as a disgusting food. Interestingly enough, the very next year at another campfire session, a camper asked if we would be playing Chubby Bunny. The counselor nonchalantly mentioned, “Oh no, some girl choked and died so we won’t we doing that anymore.” As if I didn’t need any more things scarring me for life. Fast forward and I have been reduced to eating only mini-marshmallows (both out of the bag and those little freeze-dried ones in cocoa packets). Thank goodness a new variety of jumbo marshmallow has come along to redeem all of marshmallow-kind for its past transgressions. 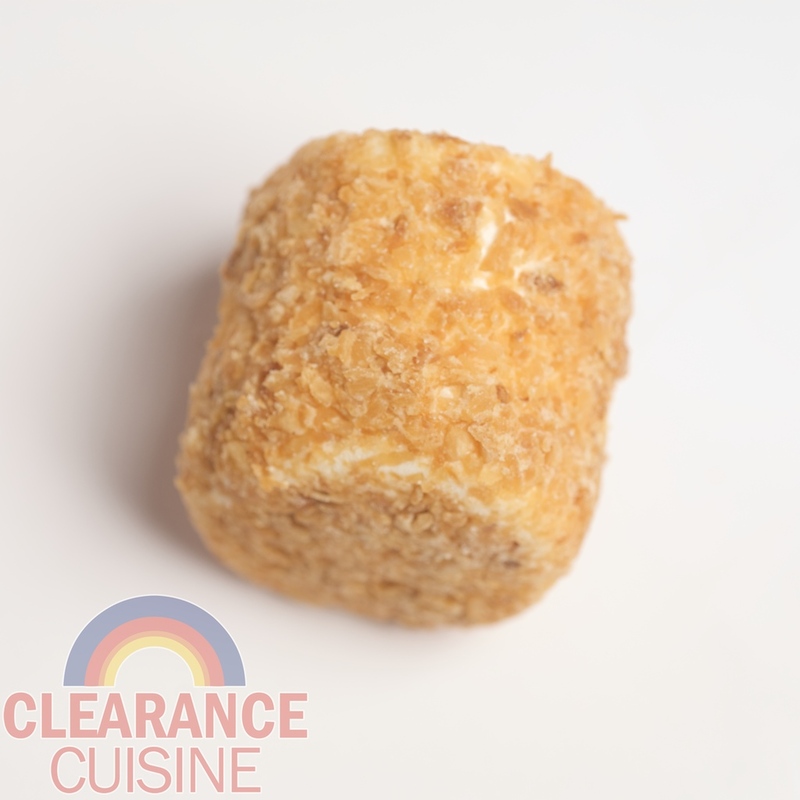 Jet-Puffed Toasted Coconut Marshmallows combine the delicious nutty flavor of toasted coconut with the familiar white puffy treats. No longer used for just s’mores, the bag proclaims they’re “Great for Munchin’!” as well. 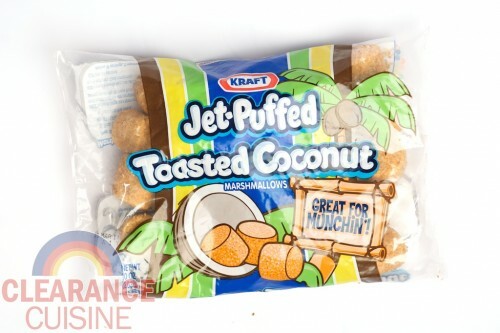 As you can see from our photo, they’re also great for roasting with a blowtorch to truly create that crispy toasted coconut flavor. Personally, I greatly prefer these to the regular variety – the toasted coconut is a nice tropical touch and also allows for unimaginably rich, fattening and ridiculous s’more varieties. 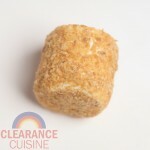 One might use macadamia nut cookies instead of graham crackers with a toasted coconut marshmallow and a slab of chocolate for a Hawaiian S’more (patent pending). And since we picked up an entire bag of these for 33 cents, I’m happy to say that these marshmallows cured me up my childhood fears, and for a cheap price at that. You can’t say that about more therapists. This entry was posted on Monday, March 28th, 2011 at 9:00 am	and is filed under Food. You can follow any comments to this entry through the RSS 2.0 feed. Both comments and pings are currently closed.